were never able pay attention to, during the academic year. Our education counsellor has very helpfully compiled a list of things you can do to utilize your summer in a fun and efficient manner… and what’s better – it adds to your CV! Following is a list of multiple summer programs, attending which, will enrich your break. something anyone from any age or grade can most definitely explore – online learning! Only the best of the sites has been listed below, so your enjoyable experience is almost most certainly guaranteed. The International Institute for Higher Education Research & Capacity Building (IIHEd) at JGU hosts the Aspire India Scholars Programme, Jindal Global Summer School for high school students. The purpose is to create opportunities for high school students to experience the diversity of academic programmes, disciplines and campus environments that are available to them at the tertiary level and to enable an informed transition from high school to university. Young Scholars Program: An Ivy League experience for local students! Young Scholars enroll in one or two undergraduate courses for college credit alongside Penn students and have access to full undergraduate academic resources, including libraries, academic advising, college admissions workshops and learning resources. academics within an exploratory, non-credit environment. Students enroll in two immersive modules from across disciplines while benefiting from the rich educational resources of the university, experiencing college life on Penn’s historic campus and exploring the vibrant city of Philadelphia. Pre-College Program: A true Penn experience! Pre-College students enroll in undergraduate courses for college credit and have the unique opportunity to explore the University as a residential student, including access to dorms and dining halls, recreational facilities, college admissions workshops and full undergraduate academic resources. Philadelphia to provide a sociologically comprehensive summer experience. mathematical concepts rarely offered at the high school level. This rigorous, proof-oriented program will fuse lectures, problem sessions, demonstrations, and exploratory research. As the prime holiday season approaches, now is the time to pull out your purses and make your bookings for the best deals the travel and tour sphere has to offer. However, our mind always goes for a spin when we encounter the question, where to summer? Just the overwhelming amount of options and combinations leave us in a completely undecisive and delirious state resulting in passing of all the visa and airline deadlines, and we end up going to the same place again. Or something a little less exaggerated. To save you from all this turmoil, here are some new and relatively cheap places to visit this summer. From experiencing the waves to the high-altitude peaks, from the vibrant hustling cities to the serene and utterly quiet countryside, we have it all. While some of the suggested destinations are the result of hours of research and Google, a few of them also happen to be my personal favourites. To start it off, we’re going international. Now, most of us lack the occasional views of blue waters, and by blue I don’t mean the dark blue that comes directly from hell and pollution. I’m referring to the fresh cyan blue or the soft shade of azure. The top pick here would be Croatia. Croatia is misunderstood to be extremely expensive, however, that is proved to be a myth. The country is worth visiting and island hopping via ferries is a very popular way to roam the land of stunning beaches. The exchange rates are quite reasonable right now, especially compared to the other European countries. Now for over the sea options, I will always suggest to lace up your hiking boots and climb a damn mountain. Even though I’ve done it only once till now, that one experience was enough to get me addicted. There are several feasible choices throughout India, the best one being the peaks of the Himalayas accessed from Manali. As for the hiking part of it, there exist several reliable organisations which arrange for such treks and camps. Next up is the urban glory. While most of us reside in cities, it is quite thrilling to live and breathe in another city and to the surprise of many, very different from our own. One of the best cities to visit during the April-March period is Tokyo, Japan. What makes this visit especially more extraordinary, are the cherry blossoms which are in their ultimate bloom and glory. Besides getting pleasant temperatures, the spirit of the metropolitan, and a bucket load of the Japanese culture, you are also flowered with the beautiful sights of the cherry blossoms. Last on our list, is a number of places for those of you all who merely want change. Change from this sweltering May weather. Want to twist the atmosphere, snuggle up in the hotel room and read a book or watch a movie? I’ve got your back. Coorg in Karnataka, Tawang in Arunachal Pradesh and Shillong in Meghalaya are all incredible getaways for the sole purpose of relaxation and revival from the everyday monotonous life. Now that you know where to go this summer, don’t let those deadlines get away this time! Book it and strut it. And if you did get inspired from this article, let me know in the comments! Self care. Where do we even begin? We hear it all the time from bloggers, newspapers, tv shows etc. You name it and everyone is talking about it. Although, with the kind of fast and hectic lives we lead, we forget to take care of ourselves. Then later on it comes back to bite us in the back in the form of hideous acne and dark circles! • Have a good night’s sleep. Don’t burn the midnight oil studying for a test, it’s not good for your mind or your sleeping pattern. Instead try and finish all work by 11:30 pm and plan your day carefully. Time management is key. • Have a hot shower. After a stressful day unwind with a nice hot shower to feel relaxed and rejuvenated. You’ll get out of the bath feeling like a completely new person. Ditch Netflix and TV for something a bit old school. Broaden your imagination and your vocabulary by picking up a book. If you want something light read Mindy Kaling’s “Why Not Me?”. It’s full of anecdotes of her childhood, journey into TV and starting her own show. • If chilling isn’t your thing, try getting some work done ( shocking 😵 ). It need not be schoolwork. Try helping your mom in the kitchen or even make your own bed. Just go for it! • For a spot of positivity try doing some affirmations. Affirmations are simply positive and encouraging sentences that you or somebody else says to you. It helps restore self confidence and pride as well as motivation. For all the beauty/ skin care addicts out there, spend a Saturday or even a Friday night in your favourite mask and be ultra tumblr by creating your very own nighttime skin care routine. Taking care of the self- both body and soul is very important to our very being. These are just some little ways in which you can take care of yourself but, if you do anything different or if any of these tips have helped you, please let us know. With this I want to encourage you all to travel a little more this year. Go to places you’ve always wanted to go to or discover new areas where you’ve already been before. As the year ended I took a trip to Thailand. Albeit, I’ve been there once before but this time I went to new regions. The week before Christmas, I left Mumbai for tropical heaven. After a horrible 4 hour flight ( it was literally like sitting in a shoebox ), I landed in Bangkok. It was still pretty dark when I landed, so we went to the hotel and just crashed, courtesy of the airplane. If you ever visit Bangkok stay in Siam Square, it’s in the centre of the city and all major malls are 5 minuets away plus it’s got amazing restaurants all around. Obviously Thai food is all around but for the best, eat on the streets it’s amazing, trust me. A restaurant I really liked was Ban Khun Mae in Siam Square. I recommend the Papaya salad and if you eat meat try the Chicken Satay. The last place I visited was Hua Hin, which is a beach town, four hours away from Bangkok. It’s very reminiscent of Goa and has little shops selling trinkets and swimwear. In Hua Hin gorge on seafood because it’s absolutely fresh and delicious. Also, try Morning Glory, it’s a plant whose stems are cooked typically with chillies, oyster sauce and ginger. The beaches are fantastic and are the best way to unwind. So, on that note have a wonderful 2018, and happy travels. You’re in for a treat if you’re someone who obsesses over finding out the Real You™️. Believe me, you’re not alone. It was one of those times when I found myself to be particularly jobless, surfing through random Buzzfeed quizzes, that I stumbled upon a Personality Test link, and, as always, it piqued my curiosity. “Take our Personality Test and get a ‘freakishly accurate’ description of who you are and why do you do things the way you do.” Needless to say, the test results didn’t fail to have me surprised by their correctness. Constructed by Katherine Cook Briggs and her daughter Isabel Briggs Myers, the Myers – Briggs Type Indicator (MBTI), as defined by Wikipedia, is an ‘introspective self – report questionnaire with the purpose of indicating differing psychological preferences in how people perceive the world around them and make decisions’. It is based on the conceptual theory proposed by Carl Jung, who had speculated that there are four principal psychological functions by which humans experience the world – Sensation, Intuition, Feeling and Thinking – and that one of these four functions is dominant for a person most of the time. According to Jung, people are either born with, or develop certain preferred ways of perceiving and deciding. The MBTI sorts some of these psychological differences into four opposite pairs, with a resulting sixteen psychological types, which I’m going to describe below. Anxious, calculated, intrinsic, analytical, straightforward, and sceptical, sort of like the dark, silent guy in your average teen movie. They are the ones that ‘no one can understand’. Possible Career Options: Mechanical or software engineers, lawyers, or freelance consultants, project managers, system engineers, marketing strategists, system analysts, and military strategists. Famous Architects: Arnold Schwarzenegger, Michelle Obama, Vladimir Putin, Isaac Asimov and Lewis Carroll. Ingenious, knowledgeable, quirky, oblivious, and calculating, like your typical geek (not in a bad way, of course). They are the ‘puzzles’. Possible Career Options: Mathematicians, system analysts, career scientists, especially in more abstract fields such as physics; forensics, laboratory research and law. Famous Logicians: Bill Gates, Ellen Page, Kristen Stewart, Albert Einstein and Marie Curie. Efficient, determined, driven, strong, authoritative and intense, like any powerful and popular person you might know. They are the natural leaders. Possible Career Options: Corporate strategists, lawyers, university professors, entrepreneurialism. Famous Commanders: Steve Jobs, Gordon Ramsay, George Clooney, Donald Trump and Margaret Thatcher. Innovative, charming, eccentric, spontaneous and insightful, similar to your average likeable troublemaker. They cannot resist an intellectual challenge. Possible Career Options: Entrepreneurship, engineering, acting, photography, clinical psychology, and the pure sciences. Famous Debaters: Mark Twain, Tom Hanks, Thomas Edison, Celine Dion and Leonardo da Vinci. Anxious, empathetic, paradoxical, patient and understanding, like the cryptic, misunderstood person you might know. They have an inborn sense of idealism and morality. Possible Career Options: Counselling, psychologists, doctors, writers, music, photography and art. Famous Advocates: Nelson Mandela, Mother Teresa, Nicole Kidman and Oprah Winfrey. Intrinsic, sweet, idealistic, emotional, and loyal, like one of your shy but always supportive friends. They always look for a hint of good even in the worst of people and events. Possible Career Options: Authors, bloggers, poets, counselling, social work, and physical rehabilitation. Famous Mediators: William Shakespeare, J.R.R Tolkien, Johnny Depp, Julia Roberts and Tom Hiddleston. Empathetic, passionate, driven, charismatic, influential and naturally confident, they are like the teacher who is a favourite amongst students and other teachers, for their skills and kindness. They are firm believers in people. Possible Career Options: Social work, teaching, counselling, HR administrators, event coordinators and politicians. Famous Protagonists: Barack Obama, Ben Affleck, Sean Connery, Jennifer Lawrence and Demi Lovato. Friendly, highly inspiring, thoughtful, upbeat, and different, they are the dreamers. They truly are the free spirited people. Possible Career Options: Human science, psychology, counselling, teaching, politics, diplomacy, writing, journalism and acting. Famous Campaigners: Robert Downey Jr., Will Smith, Robin Williams, Kelly Clarkson and Drew Barrymore. Practical, extremely reliable, traditional, logical, and reserved, like the quiet, but smart kid in your class. They are the careful planners. Possible Career Options: Military officers, lawyers, judges, police officers, accountants, auditors, data analysts, financial managers, and business administrators. Famous Logisticians: Angela Merkel, George Washington, George Bush, Natalie Portman and Misha Collins. Empathetic, grounded, kind, obsessive, and dedicated, like an advice – giving parent figure in a book or movie. They are the true altruists, and make for great listeners. Possible Career Options: Medicine, academics, charitable social work, and interior designing. Famous Defenders: Halle Berry, Beyonce, Kate Middleton, Anne Hathaway and Selena Gomez. Efficient, determined, responsible, hard – working, and very goal – oriented, they are like that one guy who always ends up excelling at almost everything. They are the classic images of the model citizen. Possible Career Options: Law enforcement, military service, paramedics, law, managerial positions, auditors, financial officers, and business administrators. Famous Executives: John D. Rockefeller, Frank Sinatra, Judge Judy, Martha Stewart and Emma Watson. Caring, dedicated, respectful, friendly, and social, the overprotective mother in any book or movie. They tend to be traditionalists. Possible Career Options: Personal accountants, medical care, social work, teaching, and counselling. Famous Consuls: Bill Clinton, Jennifer Garner, Jennifer Lopez, Taylor Swift and Steve Harvey. Bold, practical, witty, independent, and honest, like any typical witty best friend in a movie or book. They are natural Makers, moving from project to project. Possible Career Options: Mechanics, engineers, graphic designers, forensic scientists, pilots, and paramedics. Famous Virtuosos: Clint Eastwood, Olivia Wilde, Tom Cruise, Michael Jordan and Daniel Craig. Flexible, artsy, considerate, tasteful, and self – pitying, they are the true artists. They use aesthetics, design and even their choices and actions to push the limits of social convention. Possible Career Options: Artists, musicians, photographers, designers, and event organizers. Famous Adventurers: Avril Lavigne, Michael Jackson, Britney Spears, Lana Del Ray and Jessica Alba. Smart, energetic, perceptive, spontaneous and charming, they radiate confidence. They always have an impact on their immediate surroundings. Possible Career Options: Marketing, acting, paramedics, sports, and freelancers. Famous Entrepreneurs: Ernest Hemingway, Madonna, Bruce Willis, Michael J Fox and Samuel L Jackson. Spontaneous, energetic, lively, enthusiastic, and reckless, they get caught up in the excitement of the moment so easily. They are the best at encouraging others. Possible Career Options: Event planners, sales representatives, trip planners, tour guides, social workers, paramedics, nurses, music, fashion, photography, and interior design. Famous Entertainers: Adele, Marilyn Monroe, Adam Levine, Miley Cyrus and Jamie Oliver. Mumbai, the city of dreams is a city, in which you get the tastes and flavours from all over the world. Ranging from Street food to elite dining, Mumbai has it all! But, Mumbai as a whole is vast. Hence, today we’ll be giving you top 30-must visit restaurants from all over Mumbai, leveling from various cusines, prices and locations. Long-running, laid back thali restaurant offering a selection of traditional Indian fare. Smart, monochrome restaurant with art deco style and a menu of freshly rolled pizzas and sandwiches. Average cost-1,500 for 2 people. This restaurant offers a cozy and romantic setting with al fresco seating and a vertical garden. Average cost- 1,800 for 2 people. Polished lounge with sea views at the Taj Hotel for British and Indian fare, plus tea. Spacious rooftop restaurant with traditional low tables serving authentic North West Indian cuisine. Luxurious hotel dining room with huge windows and a menu of dishes from around the world. Well known spot offering traditional South Indian eats and coffee in a lively, unpretentious setting. Lively rooftop venue for a menu featuring food from all around the world. They are all about fresh ingredients and bold flavours, served up in a buzzing, authentic and family-friendly environment. Traditional Indian restaurant with an opulent interior plating meat and veggie Maharastrian dishes. Guests are served hearty meals made from wholesome ingredients that nourish the mind, body and soul. The menu is free of meat, egg products and contains no saturated animal fats. Gourmet dishes from across Asia served in a sophisticated surrounding. Smart Chinese restaurant decorated with Eat Asian art and motifs. North Indian street food is prepared with a scientific twist at this rustic design restaurant. Huge barrels serve as seating in the British-themed interior of this trendy bar with varied menus. European fare and creative cocktails served in spacious industrial surrounds with live jazz music. Swati is a casual dining restaurant offering a wide selection of eclectic vegetarian fare in a modern and elegant setting. The distinctive and innovative regional cuisine. Bringing you simple and authentic pizzas, always served in style. Just the way the Italians do. A cosy small restaurant, which brings to you the real feel of Mexican street food. With a spacious sitting arrangement and unique buffet concept Global Fusion serves a lavish spread of world cuisines. Live teppenyaki, sushi, fry & bake counter adds up to this ambient restaurant. Boho chic cafe with mismatched furniture and a menu of Mediterranean dishes and coffee drinks. Vibrant, young, attractive, innovative, visionary, pocket friendly and personalized are the concepts kept in mind while catering to a discerning gourmet at the Light House Café. Small, cosy area mostly recommended for Desserts. People playing the guitar and playing UNO on weekends is a common sight. Small, contemporary ice cream shop doling out scoops in clever flavors, plus other sweet creations. Smart, contemporary cafe venue selling Continental snacks to eat with a range of over 200 games. Wood-filled cafe dining room with a waterside terrace and menu of European-influenced dishes. We will include a whole range of locations for all kinds of travellers out there! From the breath-taking scenes in the North-East, to the vivid winter festivals in the South, we’ve got it all covered for you, from top to bottom. Because after all, it is cold outside. The first category we’ll be exploring is for all the adventure and thrill-seeking questers out there. These treks are only for the daring, with experiences such that they’ll remind you of the fables and adventure stories all of us have heard. HIGHEST ALTITUDE- About10,900 ft. above sea level. DIFFICULTY LEVEL- High Moderate to Difficult since temperature is always in minus. Its advised that trekkers wishing to explore this, should have some prior experience since it is quite hard to accomplish. HIGHEST ALTITUDE- 13,615 ft, above sea level. HIGHEST ALTITUDE- 9,924 ft. above sea level. If you’re a ski enthusiast, or maybe are just fascinated by it, Auli, located at a height of 2800 metres, is one of the hottest locations for snow and skiing. Every year from January till March, several national and international ski festivals are arranged in Auli. Now, we jump onto our next category which includes a more ‘chilled out’ pace and involves a more relaxed and cooling down regime. This is for all those out there who are in a desperate need for a break and just to find themselves in the peace and tranquil of luxury and comfort. 1) GOA- Being one of the most visited places in India, throughout the year, Goa is also one of the best destinations for winter touring with it’s lush resorts, serene beaches and an amazing night life. December, especially, is filled with great gusto and zeal with Christmas and New Year’s right around the corner. 2) ANDAMAN AND NICOBAR ISLANDS- One of the most underrated holiday spots, these islands will be the perfect match for your need of calm and scenic. With its spreads of tropical jungle and crescent-shaped beaches, it offers you much more relaxation than you could ever ask for! 3) LANSDOWNE- Situated in Uttarakhand, and boasting a ton of divine backdrops, this quiet hill station will steal your breath with every tree and mountain you see. Bestowed with unimaginable beauty and radiance, Lansdowne makes an ideal location for winter vacation, ever since the British rule. For our final category, we have chosen to provide something for the actual tourists. If you’re the ones who want to truly travel and scan the whole location upside-down and inside-out, you’re looking through the right words. 1) RANN OF KUTCH- It is the largest salt desert in the world. Located in Gujrat, it is a wide sparse of vast nothingness. However, don’t mistake it for being simple. It lights up in December with the advent of the ‘Rann Utsav.’ The festival is celebrated on the grandest scale on the full moon night in December. Scores of luxury tents are set up in Dhorado along with food stalls and arcades for handicrafts and cultural performances. Dance, music, festivities and cultural celebrations of the region are performed all over the district. The full moon safari ride is one of the most surreal experience one can have in the vast salt desert of the Runn of Kutch during this time of the year. 2) KASHMIR- The winters of Kashmir, paradise on Earth, are worth visiting at all costs. With its snow-capped mountains and valleys filled with gushing flowers, it truly lives up to its name. The Mughal Gardens and the Gondola ride in Gulmarg, are only a couple of the interesting activities this heavenly place stores for you. 3) JIM CORBETT NATIONAL PARK- This one is dedicated to all the wildlife wonderers and hence, we end the article with one of the best wildlife sanctuaries not only in the country, but across the continent as well. It opens its door to visitors to experience the diversity of fauna and postcard perfect landscape, showcasing a wide variety of species of animals like tigers, elephants, the Barking Deer, otters and even numerous bird species. This app teaches you how to improve your mood and mental health. This app helps in enhancing brain activity and development. It provides detailed information on effects of stress and instructions and practices excising to help users learn the stress management. This app helps you relax and free your mind after a stressful day or long hours of reviewing for exams. This app analyzes your sleep and wakes you up when you will feel most rested. This app fixes math problems, graphs and more complex operations. This app is perfect for people who use flashcards. This app has fun way for definitions, formulas etc. This app is for English and Vocabulary. It uses things such as word of the day and is a fun way to learn new vocabulary. This is an referencing app. It is mainly for bibliography for projects.It saves a lot of time, instead of going back for citations. This app is a calendar with reminders. It is easy to use and very colourful to look at. This app is for all you’ll ‘I can’t get off my phone keepers’ Forest helps you stay off your phone when you need to focus. This app tracks your study time to avoid procrastination and makes sure you are using your time wisely. It sets goals for productivity. This app is for our frequent travellers. It tells you exactly when to buy flights at their cheapest. This is a cool app for all the travellers and bloggers there! It tracks your route when you travel and creates a digital journal that you can order as a photo album at the end of your trip. This app is for all Android users. By doing simple surveys you can earn points what can pay for paid apps on the play store. This app comes really handy when you need an important document offline. It could be installed on a computer or laptop for easy access. This article swears to reveal no spoilers, at all times. With the release of the second season of Netflix’s most popular series on television right now, Stranger Things has won hearts and minds, all over the globe. With its season two premier merely a week ago, fans have already binge-watched the show more than twice! However, if you’re new to this fandom filled with Eggo (waffle) addicts and lovers of an ‘eleven’ year old who can kill grown men with her mind, here’s a guide to the world of Stranger Things and advice on how and why you should to binge watch it, especially if you’re a newbie. Even though the Netflix series premiered only last year for the first time, it has spread around like wildfire. Brimming with cliff-hangers and mind-blowing plot twists, the show makes sure that you’ll be back for more. The story zooms in on a quartet of middle-school boys- Mike, Lucas, Will and Dustin. It’s set in the quiet town of Hawkins, Indiana. It simultaneously revolves around the story of another character the beloved ‘Eleven’, aka, ‘El’. While the first episode is an adorable portrayal of our little nerds, things take a sharp turn after Will’s disappearance. When the police proclaim him to be dead, the rest of his party members take it upon themselves to find him and bring him back. The jigsaw pieces start coming into place slowly, when their world collides with Eleven-who happens to be an experiment of the Hawkins Lab, enforced with unimaginable psychokinetic abilities. Together, the kids uncover an alternate dimension which they call the ‘Upside Down’. But little do they know, that this goes way beyond their young minds, cultivating into something terrifying and monstrous. The best and worst part about this series is that all episodes are released on the same day. You think that’s good? Wait till you end up with wet tissues, empty popcorn bowls and dark circles. So, here are a few safe ways to watch the show without blowing up your whole life. Preferably start with it on a Friday night, if you absolutely want to binge. However, a smart way of watching it would be to space it out. This gives you the time to ‘be left in the dark’ as well as energy for your real-life events. A healthy portion would be two episodes per day. Another method that child prodigy Noah Schnapp (Will Byers) suggested was to watch till the second last episode of season 2, space it out, and then watch the last episode the day before the third season premieres. Nonetheless, at the end of the day, it’s your choice. I would definitely recommend experiencing the thrill of Stranger Things, and would rate it an eleven on ten. Diana Prince, more popularly known as Wonder Woman says and very strongly believes in this saying. Thus, it is on this very thought that the latest edition of Wonder Woman movie is based. Since this was an original story of one the heroes from the Justice League, some may argue that the movie was rather ‘drab’. But I beg to differ. The movie revolves around how Diana Prince, the daughter of Zeus, travels to “Mans World” to finish what she believes, her kind had started. Fighting alongside men in a war to end all wars, Diana discovers her full powers and her true destiny. Don’t let the sedate start of the movie deceive you. The movie is undoubtedly filled with many action-packed scenes and mind-blowing twists. It’s interesting to see how the DC universe is merged with Greek mythology in the movie, although the storyline in the original comic book may vary. 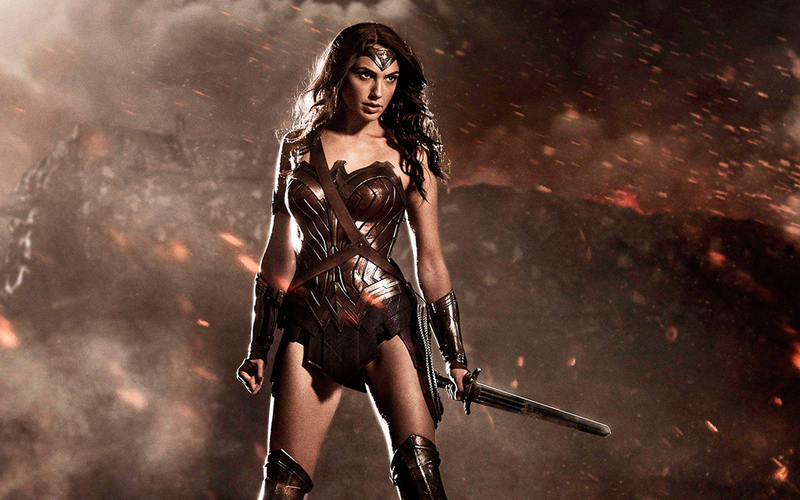 It is also the first female-led superhero movie in this particular era. It depicts that Wonder Woman is not all love and peace, because when evil strikes, she strikes back…hard! It gives us a glimpse of what exactly her powers are and how she wields them. However, there are instances in the movie which proves that problems can be resolved not only using power but instead, through endearment. I personally had a wonderful time watching this film since it was very different from the basic superhero movies that have come out over the years. I think it is a ‘must watch’ for all DC fans as it brings us closer to the blockbuster Justice League movie that is coming out soon. And if you’re not a DC fan, Gal Gadot will make you one- not only of the comics but also of her adorable self! This is the spirit of the Afghans. The spirit of those who have seen glory, pain, torture, agony. The spirit of those who sent their sons to fight the war only to bury them into the ground they once laughed, played and lived on. Afghanistan itself is like a book. Each page was written by the blood of a woman oppressed, by a child who will not have a childhood, by the man who would do anything to survive. The author of the book ‘A Thousand Splendid Suns’, Khaled Hosseini himself was born in Kabul, Afghanistan. In all his books, he reminds us how long his people have been struggling to triumph over the forces of violence. Forces that continue to threaten them even today. This book is for the women. It is by the women. Mariam is a fifteen-year-old girl who unwillingly got married to a forty-year-old man, Rasheed. Two decades later, fate brings her together with a girl named Laila, who is like a daughter to her. This beautiful, engaging story shows us how love is nothing without sacrifice. It tells us how like a compass needle pointing north, the world’s accusing fingers will always point towards the women. Mariam and Laila were beaten, locked in rooms and weren’t fed for days together. Their husband, Rasheed would justify everything with the fist of his hand. They couldn’t leave Kabul, for women weren’t allowed to leave their house without the accompany of men. They weren’t allowed to meet Laila’s daughter in the orphanage. Rasheed sold her. Women weren’t allowed to show their faces outside the four walls of their house, laugh, look at the Taliban, wear anything other than black or even talk.And what did Mariam do? She killed Rasheed, while he was choking Laila to death, she killed him. Mariam was shot in the middle of a football ground in front of a thousand Afghans while Laila had started her new life in Murree, Pakistan with her childhood lover, Tariq. Laila and Mariam both had their secrets, dark ones. The past never lets them live their present or even hope for a future.They were just existing. Mariam’s mother committed suicide and Laila’s parents were killed by bombings.Mariam and Laila gave me the strength and courage to fight injustice. I admire the women and their personalities. I love their positivity, their power to forgive. And this is why I fell in love with the book. It is raw, realistic and takes me to another world. We all must find that one piece of writing that totally drowns us in its brilliance. The last chapter made me cry at two in the morning, and I was awake till four. Just because I couldn’t let go. Nor could Laila. Only a year after living in Pakistan, she returned to Kabul in 2002, when things were almost peaceful. Maybe she wanted to be there to count each of the thousand splendid suns that set in Afghanistan. …In the cinema of course! Where else is it that you will see woven literary magic come to life than in the movie that will make you question what is truly real and what is not? Eddie Redmayne, moulds himself into the cast of every character he plays, he played the most convincing Dr. Stephen Hawking in his movie ‘The Theory Of Everything’ and now he enchants and mystifies with his role of Mr. Newt Scamander in ‘Fanatastic Beasts and Where To Find Them’. Somehow, Mr. Scamander, a man who is in love with misunderstood and ginormous beasts, has a caring and calm personality no matter what trouble ( or creature) is thrown at him. His love and passion is what drives him to protect them from even the evil of Gellert Grindelwald, played by one-who-shall-not-be-known-till-the-end. J.K. Rowling has obliterated all boundaries of imagination and given us silver eggs and snakes that have wings, to a metamorphosis of a Rhino and an elephant to dream of. This truly wild journey, will drive your imagination wild, entirely. 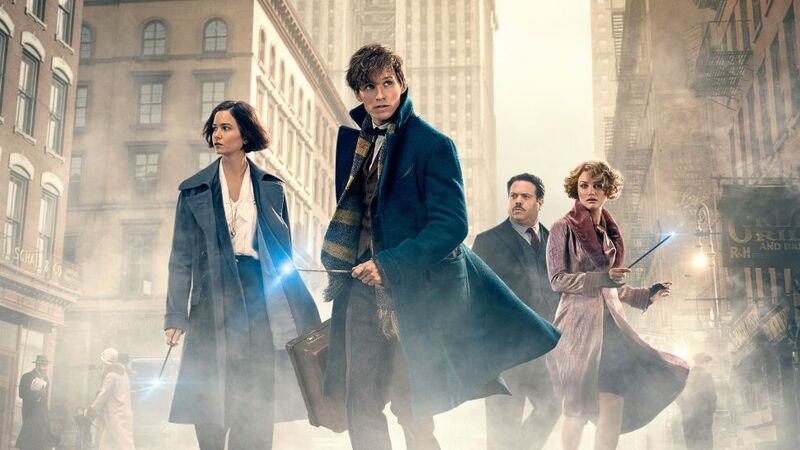 Later, there are even very ‘Lestrange’ encounters and a love story between Newt and Tina Goldstein (played by the beautiful Kate Waterstone) blossoms, along with that, a ‘No- Maj’ and a witch , who could read his mind before it was even made up, develop a quirky relationship. The story takes you through ups and downs and twists and plots and characters whom you may have never expected to encounter in the movie, let’s just say you won’t just be at the edge of your seat, your mind will ‘wand’er to a world beyond ours, movies require one to willingly suspend disbelief and if you do, this Fantastic movie is probably the Be(a)st, and will surely leave you stupendously stupefied. I have been waiting for Dr. Strange to release since so long and now that it is here, I have to say that it didn’t disappoint! It is one of the best Marvel films I have watched to date. Dr. Strange has it all: humour, sarcasm, a thrilling climax with plot twists that will take you to the edge of your seat, but most of all, it does justice to the comics, which is what every super hero fan is looking for. I was left wanting more. Even the humour in this superhero movie had a ‘strange’ way of hooking me in. Dr. Strange is an egoistic, arrogant neurosurgeon and the king of sarcasm. Benedict Cumberbatch, our very own Sherlock and the perfect actor for this role, portrays him to be the best snarky alien-magician ever. He is basically a cross between Bruce Wayne and Tony Stark. However, his cool and haughty attitude quickly changes when he loses the use of his hands to a car accident. Unable to accept this, he embarks on a journey of healing and instead, finds himself in a world of the mystic arts. After all the modern medicines fail to heal him, Strange goes to look for a solution at Kamar Taj, a community of sorcerers in Kathmandu, Nepal, training to protect the world, and healing themselves. He was exactly whom the Ancient One(Master of the mystic arts) was looking for. He trains, and we see him progressively change from an arrogant and selfish neurosurgeon to a brave and selfless sorcerer. However, even before his training is over, he is forced to face the evil and, in my opinion, slightly delusional Kaecilluis, a follower of Dormammu, the ruler of the Dark Dimension. This movie shares quite a few similarities with The Matrix: the reluctant chosen one, the mystic guide who educates the said chosen one, the megalomaniac super-villain who wants more power for himself and the generally ignorant public who are completely unaware of the magic around them. One of the best features of this film would have to be the visual effects, a delight for the fans of comic book artist, Steve Ditko’s iconic work. More than two thirds of the movie is solely comprised of different types of effects. The best scenes in the movie were when the Ancient One exposes Strange to the Multiverse and the battle in the end. I won’t reveal details, tempting as it is, but believe me, it is a feast for the eyes. The humour, which adds to the entertainment factor to the movie, had me doubling over with laughter. The mid-credit scene of the movie was hilarious, too. It shows Dr. Strange with Thor who has a self-refilling beer mug. It basically hinted towards a Dr. Strange cameo in Thor: Ragnorak, which I am extremely excited for! And the last scenes were what I was most excited for as the good sorcerer who trains with the Doctor, eventually turns bad. This isn’t really a spoiler, as Mordo is evil in the comics, so don’t get mad at me! The thing I love most about Dr. Strange is that it is unlike any of the other Marvel films. It’s the first of its kind as it involves magic. All the actors did a tremendous job. I couldn’t find any fault in the casting. Even though the Ancient One was supposed to be an Asian male, Tilda Swinton plays the eclectic role perfectly. People out there may hunt for flaws in the movie, but for me this movie was completely flawless, and by far my favourite super hero film including all those from the Marvel Universe and DC Universe. Plath was an American poet, novelist, and short-story writer, born in Boston. She is credited with advancing the genre of confessional poetry. Fun fact: She published her first poem, “Poem,” in the Boston Herald in 1941. She was nine years old! At twelve, her IQ was recorded at around 160. This issue the Zeitgeist can’t help but recommend a handpicked list of Plath’s poetry that we feel everyone must read. Jazz is often considered as the most favourable genre of the elite, however, in recent times, with the rise of precarious genres all around the globe, with special preference to the pulsating and highly promising but soon to be decadent EDM genre, Jazz has been given the backseat and has been given the title of a retro genre, which in other words is a formal and polite way of saying ‘Jazz is a thing of the past’. A typical jazz song is characterized by the dominating trumpets and drums section, followed by rhythmic pieces on the piano and finally concluded with a nostalgic voice, which speaks volumes of the plight musicians often go through. Being a major fan of Jazz music, though not completely learned of the nitty gritties of the genre, I prefer listening to the moving tunes of the Thelonious Monk and the uplifting masterpieces of the Dave Brubeck Quartet, often considering myself as retrograding from the mainstream hits of Zayn Malik, Halsey and Yo Yo Honey Singh (sounds more like an African- Punjabi version of Lil Wayne). However, it would be unusual to say, that I detest mainstream songs, the powerful lyrics of Macklemore and Ryan Lewis and the unusually haunting melodies of George Ezra, fill up the space. Irrespective of the recent backseat this legendary genre is going through, it has produced not only Grammy-Award winning artists, but also soulful tunes and reverberating renditions, which magically come in sync, with any activity one is doing. In India, EDM has dominated the music fraternity, every other teenager will know about the likes of Axwell Ingrosso, Avicci and Major Lazer,which is likely to happen, keeping in mind the fact that festivals are set up just to dance off to the electronic tunes and beat drops which sound more like the ‘incessant drilling of a machine into a brittle wall’. Festivals are often platforms to showcase crop tops, rather than beat drops, making it more like a pretentious get together of a North Indian family, ‘replete with cacophony and deprived of quality’. This piece of writing is not targeted towards any genre, it is simply voicing the opinion of a teenager, who wants equal importance to be given to the decadent genre of Jazz. In India, the only time, we hear about Jazz, is in the news, when we see jazz concerts being held by Mr Barack Obama, to assert the presence of this beautiful part of musical history. It’s time we give equal weightage to this genre, before we miss out on good music and our lives are dominated by heavy electronic rythms, that sound less like music and more like the passionate mating of two Transformers. If anybody has any idea, about upcoming jazz concerts, please send in the details to the Newsletter. Any willing and interested person doing so, would be subject to reverential and sincere respect from my end. The third instalment of the Captain America trilogy, aptly titled ‘Civil War’, is a film that all die-hard fans of the Marvel Universe (cinematic or otherwise) have been waiting for since the end credits rolled on The Winter Soldier in 2014. Needless to say, it did not disappoint. As soon as the movie starts, we are thrown right into the lives of Steve Rogers and his fellow Avengers, many of whom are trying to absolve the guilt from missions that have gone askew over their time as a team. As seen in previous films, there have been epic battles, but those battles have also had heaps of collateral damage that were brushed under the rug in the spirit of victory. Owing to this, the United Nations decides to step in and passes a resolution stating that the Avengers would now operate under them. Immediately the group is torn apart, where some, like Tony, believe signing in is the right thing to do, while others, like Steve, refuse, equating the Accords to the Avengers losing their freedom. Matters are further complicated when an element from Captain Roger’s past is pulled into the mix, the reappearance of Thaddeus Ross and the antics of a hidden puppeteer orchestrating a plot of his own. Whether you walk into the theatre sure you’re Team Cap, or you may take your seat convinced that even though it is, in fact, a Captain America movie, your loyalties will remain with Team Iron Man, I think it’s safe to assume that as soon as you catch up to the story, all lines are blurred. The entire movie is set in shades of grey, where nothing is just black and white; no one is wrong, but neither team handles it right either. Even though almost the entire band is back together for the new movie (we do miss you, Banner and Thor) and we are introduced to fantastic new characters (welcome aboard, T’Challa and Spidey) this is very clearly not just the MCU’s attempt to make up for disappointing its audience in the last Avengers feature. One of the best parts of this movie was that every character got its well-deserved importance and attention,but despite that, no one can complain that the Captain himself got lost in the hustle bustle.In the end, it remained true to its franchise and managed to not turn into ‘Avengers Part 3’. In spite of the fact that the movie only bore the most basic of similarities with the comic issue after which it was titled and the number of superheroes in the feature was only a meagre fraction of those on paper, the diverted storyline still held the audience captive, leaving almost no room to complain. That, coupled with beautifully choreographed fight scenes, phenomenal acting, and the entire time that Tom Holland’s Spiderman decided to grace us with his presence, resulted in a spectacular end to the Trilogy of the First Avenger. Marvel’s X-Men series has been a part of our lives for over 16 years now, and with the release of it’s sixth edition, X-Men Apocalypse taken from the comic, Age of Apocalypse, has received quite a lot of hate. To start off, Rotten Tomatoes has given the movie a vomit-covered 47%. Any guesses as to which horrible movie beat that rating? It’s none other than Twilight. Yes, that movie about creepy love triangles, werewolves and glittering vampires was obviously much better than an action packed Marvel movie. Although the movie was a bit disappointing for die hard fans, when it came to plot holes or the accuracy to the comics it was still able to be par excellence in its own different, unique packages. A movie revolving an exceptional and dimensional villain – check. The antagonist of this film is a character originating from the comics itself called Apocalypse. Much like his name suggests, Apocalypse signifies the probable doom and end of the entire world. His powers are so extraordinary and endless that he is often considered as a God. Apocalypse was believed to be the first mutant ever, born multiple centuries ago and always believed to have travelled with his four horsemen, much like the Apocalypse from the Bible. (or wait did the Bible get it from him?) His main goal is to eliminate the weaker species, to kill anyone who stands in the way of his plan and to build a better world from the ashes of the one he destroys. A Marvel movie expected to deliver get levels of well defined action. Check. The X-Men series has a set of movies which sometimes have a prequel story line and sometimes a sequel story line. Apocalypse as a movie did not only fulfil our desire of skilfully delivered action packed scenes, but also tie the knots between the missing time period and getting the chronological order of the series aligned. The movie fills our hearts with a warm, fluttering feeling when we witness the usual young, lost mutants completely unaware of their powers. We see them when they’re raw, uncontrolled and practically dangerous. Seeings these characters fight is a literal feast to our eyes. The final fight against Apocalypse was so well crafted as well, and just when you think he possibly couldn’t have any more powers, he comes to prove you wrong. And I definitely doubt that the sight of a single locket killing ten people at once isn’t the most common. Amazing special effects that keep one flabbergasted and serve as the cherry on top of this brilliant cake. Check. It would be unfair not to mention the famous character, Quicksilver who is capable of being quite so literally, as fast as lightening or in this case, even faster. A small five minute scene featuring this character took the editors 3 entire painstaking months to portray on the screen and words couldn’t describe how cool it was. The flying, the lazer beams, the clawed hands, the metal wings all seemed so genuine. It was perfect. Apart from this, the movie gives us an insight to the actual story lines of our favourite characters, making us fall even more in love with them. One would probably not expect themselves to relate to a movie about people with literal superpowers trying to save the world, but the directors have managed to completely shatter than opinion. Topics such as love, loyalty, friendship, being completely lost on what to do, not being able to tell right from wrong or even believing in yourself is something everyone will share in common with the movie. The movie showcases character development and interesting dramatic as well as funny dialogues which helps balance out the movie and keep it interesting through out. Yes the movie was not a Civil War, but it was definitely NOT a sparkly vampire movie, and i can happily give it two thumbs up. Maybe it’s just the Star wars in me talking, but in hindsight, it’s hard not to see “Kung Fu Panda 2” as “The Empire Strikes Back” of animated mammals and martial arts epics.Darker and scarier than the original “Kung Fu Panda”, Kung Fu Panda 2 took the happy tale of a bouncy black-and-white furball, added traumatic layers of backstory, and climaxed with a startling revelation of parental identity. Despite a long-overdue family reunion, it’s a pleasure to report that “Kung Fu Panda 3” is much more than the mere franchise equivalent of “Return of the Jedi.” Emotionally, dramatically and perhaps most of all visually (it’s worth seeing in 3D), this delightful movie is almost as generously proportioned as its cuddly hero, restoring a happy sense of completeness to the trilogy at the end making it seem as if everything is finally in place. Animated sequels don’t usually have the best track record, but 2011’s Kung Fu Panda 2 was an exception to that rule, in my opinion. Not only did it capture the action and humor of the first movie but also built on the mythos and told a new and exciting story. Thankfully, Kung Fu Panda 3 follows in the sequel’s footsteps and proves that the series still has plenty “skadoosh” left to offer. Meanwhile, the reliably game Jack Black is back as the voice of Po, and he is, as always, the heart and soul of this movie. Not surprisingly, some of the biggest laughs come from him, along with his character’s expressions. Granted, Po faces many of the same challenges he supposedly overcame in Kung Fu Pandas 1 and 2, some scenes felt redundant as a result. That said, there’s a lot of new stuff in this movie too. All in all I give this movie a big thumbs up and pray that DreamWorks leaves this complete trilogy alone. The Jungle Book has been a children’s favourite story since time immemorial. The fascinating world of a jungle in which animals actually talk and live in peace and harmony, is one that does not leave much to be desired. Based on Rudyard Kipling’s collective works, The Jungle Book is the story of little Mowgli, a man-cub living amongst a pack of wolves in the jungle, trying to desperately to fit in. In the world of the wolves, the Mowgli finds himself lonely in his ways of survival. His best friend is none other than the beloved Bagheera, a panther, who helps him cope with the ways of the jungle. For the young man-cub, it is essential to be on guard all the time, for it is none other than the fierce tiger-Shere Khan- who is hunting him. Somewhere along the way, Mowgli bumps into Baloo, a brown bear who teaches him how to enjoy, live life to the fullest, and also teaches that it’s okay to bend the rules every once in a while. The movie guides us through the ups and downs of young Mowgli’s adventures, taking us through his tumultuous journey of trying to locate his roots- in which he ends up finding himself. The excellent animation, sound and dialogue will make sure that the audience is completely engrossed in the movie, and leave them wondering on the exciting adventure you and Mowgli will embark on next. Critics tore into Batman v Superman: Dawn of Justice, tearing apart Zack Snyder’s latest work. With a 29% rotten rating on Rotten Tomatoes, and generally negative reviews from all kinds of critics (from Time’s Stephanie Zacharek to vox.com’s Alex Abad-Santos), the general movie-going populace should have been influenced to believe that the movie was total rubbish, even before they had sampled the latest in what seems to be shaping up into a generation of cinema that is slowly being defined by the “superhero” genre. Then, despite the worst Friday-Sunday dip in history, the movie made 420 million US dollars. The critics, may, have been wrong. On it’s face, Batman v Superman (BvS) is not a bad movie. It’s actually pretty good, and it managed to accomplish what Warner Bros. set out to do in the first place, all the while doing it to the tune of Hans Zimmer’s marvellous (and weirdly unappreciated) Original Soundtrack (OST). BvS suffered from doing what it was designed to do, as a litmus test for WB’s upcoming 10 DC Comics movies in the next 7 years, the movie was built up to a giant expectation fuelled by a 150 million dollar ad campaign and most importantly, as a foundation stone for WB to build the backstories for the DC Trinity (the nigh unbeatable triumvirate of Batman, Wonder Woman & Superman). This is vastly important, because the Trinity form the founder core of The Justice League of America (JLA, or Justice League), DC Comics’ hero collective, something akin to Marvel’s The Avengers Initiative. However, Disney’s Marvel started setting up for Avengers (2012) with Iron Man (2008), and then released a spew of movies over the next 4 years to establish their characters. WB had to set up Justice League (2017) with just Man of Steel (2013) and BvS (2016). It led to the movie ultimately having to cram the nearly twenty hours it deserved into two, which obviously meant omissions and severe plot changes from the original comic line. Consequently, most comic buffs worth their salt (yours truly included) walked out of the theatre with a look of vague confusion on their faces, while your normal moviegoer was utterly perplexed. It is imperative to know that a vast majority of the movie’s flaws stem from the studio trying to do too much in terms of story, and the only reason there is such a vast disparity between critics (29%) and moviegoers(83%) is because critics are incapable of adequately judging this movie primarily because most critics don’t have an experience with comic lore, and so the idea of what WB & DC are trying to do, has completely gone over their heads. It in no way counts against them, but in my opinion a large proportion of the negative criticism finds its basis in this. The movie did not entirely fail, and the idea of the JLA has indeed been seeded, and the whole set up has been somewhat established, so even if the storyline is a little botched, its okay because the movie is fun, tremendously well-executed (except for the weird clay monster oddity that somehow passes for the feared entity of Doomsday, a being that in comic lore, cannot stay dead). Henry Cavill as Clark Kent (aka Superman) is, despite his lack of dialogue, remarkably human, yet effortlessly godlike, in a a graceful way, something that has come to define the Man of Steel of the comics. Ben Affleck (an extremely controversial choice, given his absolute butchering of Daredevil, so many years ago that only we fanboys still feel angst about it) is a unique Batman, where all his predecessors have played the Caped Crusader (from Bale to Keaton & Clooney) as a dark vigilante who patrols from the shadows and who has been fighting crime for a relatively short while, he has played the Bat differently. Affleck’s Dark Knight is a veteran, who has fought evil for over 20 years and is highly cynical, extremely decisive, painfully ruthless and rather than patrol from the shadows, almost seems to be a part of the darkness, a shadow himself. And let’s face it, Affleck’s 6’ 4” built frame is the closest to the Batman of the comics that any actor has been so far. The real shocker and powerhouse is Gal Gadot’s masterful, efficient and elegant Diana Prince (aka Wonder Woman) which has redefined the image of the Amazon Warrior Princess, something that has been based on a 50-year-old television show and animated movies and cartoons. Jesse Eisenberg’s Alexander Joseph “Lex” Luthor is unique, destructive, psychopathic, sociopathic, cunning, violently power-hungry, energetic, scheming, and manipulative, your typical, quintessential comic book villain come to life. HIs joking, almost sardonic manner is remarkable and a delight to watch. As aforementioned, the OST is phenomenal, accentuating and gorgeous and while the cinematography leaves something to be desired and is somewhat lacking in consistency of movement and perspective, the editing and production as a whole is definitely above average. But this movie isn’t all butterflies, unicorns, fairies and rainbows, it has its fair share of annoying flaws. Chief among them are Batman’s primary moral code being violated (this is especially harrowing as a transgression, since Batman is built as a character on the murder by gun of his parents in front of his eyes, and it builds an uncrossable line in Bruce Wayne’s psyche where he never uses guns; in the movie he does.) I was shocked, saddened and horrified. A whole lot of storylines from across the multiverses of DC’s multiverses have been carelessly abandoned and character back stories have been mercilessly disfigured and ripped to shreds in some cases. On a whole, unless you are a comic buff/geek/nerd/fanboy/fangirl, its a movie you will enjoy despite its flaws. If you are any of the comic somethings, you will love it because its the Trinity and there are massive comic lore Easter Eggs. The best thing to do is to ignore all one-star and negative reviews, watch the movie and judge for yourself. But if you ask me and take my word for it, it was pretty awesome. The movie Zootopia has repeatedly been mentioned as a Disney movie unlike any other; a movie that sets itself apart from the rest. Being an excellent animated movie, Zootopia is quite captivating and entertaining, but it brings so much more to the table. Setting aside the brilliant and unique animation, sound, dialogue delivery and inclusion of modern pop-culture, the movie also manages to address far more important and relevant topics of our generation. The story revolves around a seemingly harmless and adorable bunny-rabbit, Judy Hopps and how she does everything in her power to be respected at the very brutal and rough police department of the mammal-inhabited town of Zootopia. This primary plot-line highlights most of the main themes of the movie – appearances can be deceiving; don’t judge a book by it’s cover; or first impressions should never be the last. Another reason why it was such a great movie is that it was able to throw light on heavy topics such as racism and sexism in the world and the effects it has on people. It is commendable that such subjects were incorporated in a children’s movie. An important factor that makes this movie so different from the others is the antagonist of the plot. The villain of this tale is not a witch who castes curses, or a monster, or even an evil step-mother – it is a politician. This makes the story so much more real and relatable to the audience, specially the older crowd. The movie very skilfully explains the need to break stereotypes that society forms for different types of people, yet again proving not only to be an excellent animated movie but also something more educational and enlightening than most adult movies. “It made me want to look at all the issues that are going on in our world right now. The chance to explore that artistically was very interesting to me. It’s really a personal movie,” says the writer of the script of the film, Michael Giacchino. The movie thus sheds light on a lot of dark elements and evils of the world and how they must be dealt with; it teaches adults and children never to change themselves to fit into society’s stereotypes; and does so much more, all through humorous, child-friendly plots and characters. As a part of the next generation, and the change of the world, the movie seemed very important – a milestone, really. To see such important matters being expressed, viewed and thought over by millions of people in this world is a great feat. I personally loved this movie and would recommend it to all and sundry. Whoever said ‘animation is just for children’ truly wasn’t thinking straight. Poe was an American poet, writer and literary critic who’s poetry and story themes revolved mainly around mystery and the macabre. He was regarded as the central figure of Romanticism in America and is considered the ‘inventor’ of the Detective Fiction genre. Out of his marvellous collection of poems, we have painstakingly shortened our list to three that, we believe, are almost a crime against literature, not to read. 3. A Dream Within A Dream. Have you ever had those days, when you don’t know what to do, when life seems nothing but a long endless journey, where you are just a traveller, an explorer of your unknown self and the mysteries of the world. Where you have given up, on what the world demands from you, and you take up the much awaited quest of self recognition? Are we dancers, to the demands and expectations of this world? Are we dancers to our own fate? Just sit back and enjoy this magical mystery ride. Activate your musical self, pamper yourself with some good, soul satisfying music.